Oscar Clinic in Brooklyn, N.Y. 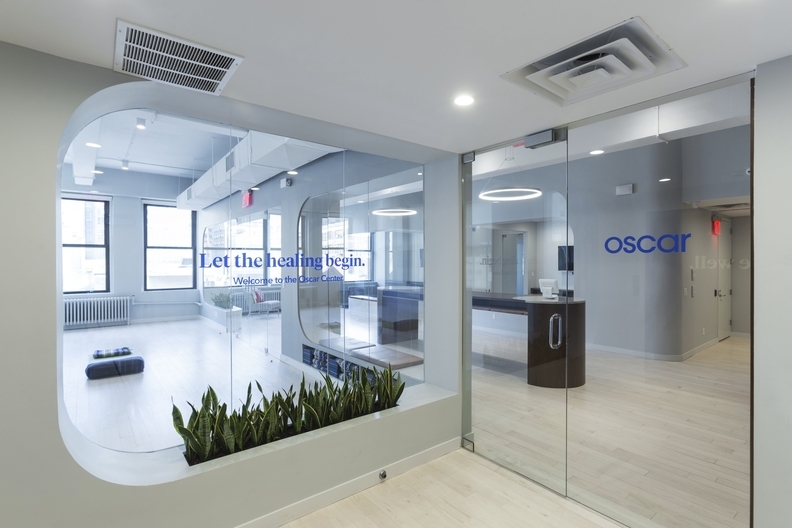 Despite losing millions on ACA plans in the last two years, Oscar Health is betting on the individual market and expanding its footprint into three additional states. New York-based Oscar, founded by Joshua Kushner, said Wednesday that it will sell ACA marketplace plans in six states in 2018, up from three this year. The news comes on the day health insurers must announce whether they plan to sell coverage on the insurance exchanges next year. Several insurers have already said they will stop selling individual plans in certain markets in 2018, citing both financial losses and uncertainty over whether key provisions of the healthcare law will remain in play. That's left 44 counties, where more than 31,200 people get coverage, that are projected to have no insurance options next year. While many insurers are retreating, Oscar thinks its tech-driven insurance products and concierge-style member experience will help the company thrive in a time of regulatory uncertainty. It filed to expand into certain counties in Ohio, New Jersey, and Tennessee. Oscar previously sold plans in New Jersey but exited the market this year. Oscar will also expand its presence in Texas and California and will keep selling plans in New York. In 2017, Oscar covered about 105,000 members. "We're confident that when the dust settles, the market for health insurance will stabilize in time for 2018," Oscar's CEO and co-founder Mario Schlosser said in a blog post Wednesday. "For all of the political noise, there are simply too many lives at stake for representatives in Washington, D.C. not to do what's right for the people." Republican senators in Washington are now debating a healthcare bill that would signifcantly reform the individual market and Medicaid. The Senate will likely vote on that bill next week. Last week, Oscar also announced the launch of a joint venture health plan with Ohio's Cleveland Clinic. The plan will offer individual coverage on and off the exchanges. The companies will offer a narrow network plan focused on keeping patients out of the hospital with help from care coordinators will keep the venture afloat. Schlosser told Modern Healthcare last week that the individual market would surely be different in the future, but is betting it will be "a good market to deliver health insurance in." Oscar has struggled financially with ACA plans in the past. It lost more than $200 million on plans in 2016 and $120 million in 2015. It previously pulled out of exchanges in Dallas and New Jersey. But Joel Klein, Oscar's chief policy and strategy officer, said in an interview last week that Oscar now has "had several years of experience" under its belt. "We're not offering a conventional insurance product," he said of Oscar and Cleveland Clinic's plans. "We're offering something very different, something that the market and consumers have not seen, and we think that's compellingly attractive to people."